Just Listed :: Beautiful Traditional in Vinings Place Swim/Tennis! · Kitchen features tons of cabinet and counter space, recessed lighting, spacious pantry, breakfast bar, and breakfast area with bay window. · Amazing keeping room off kitchen has exposed beam ceiling and fireplace with stacked stone surround. 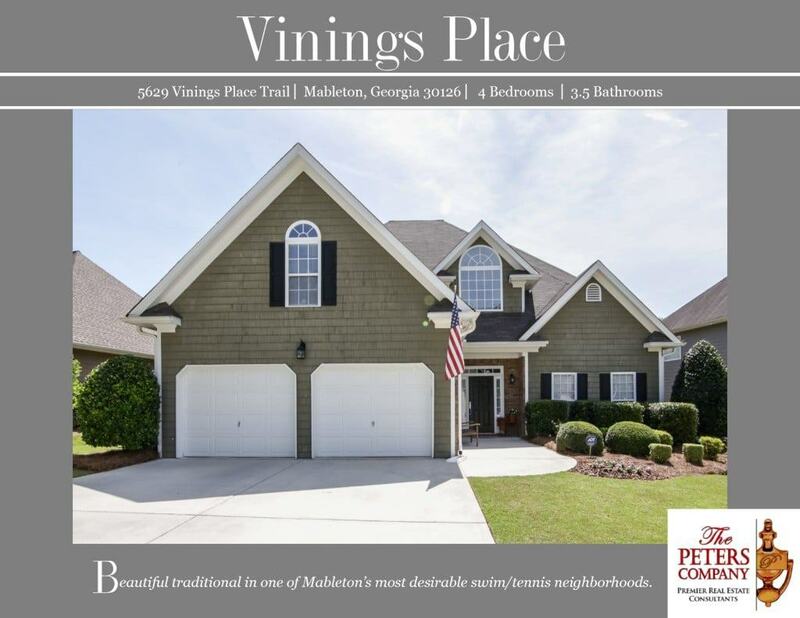 · Spacious family room has a cozy fireplace and vaulted ceiling. · Master on main is a true retreat including a trey ceiling, oversized walk-in closet, and dual sided fireplace. · Spa-like master bathroom has a double vanity, jetted tub, and separate shower. · Additional bedrooms are well sized and bright including a second master bedroom upstairs. · Large bonus room/4th bedroom could also be used as a playroom, media room, or home office. · Great outdoor space includes a patio overlooking the flat, fenced backyard. · Wonderful neighborhood amenities including a swimming pool, tennis courts, and playground. ← Just Listed :: Adorable Cottage in Ashford Park!